7 morning, 11 afternoon, 9 evening, 2 night. 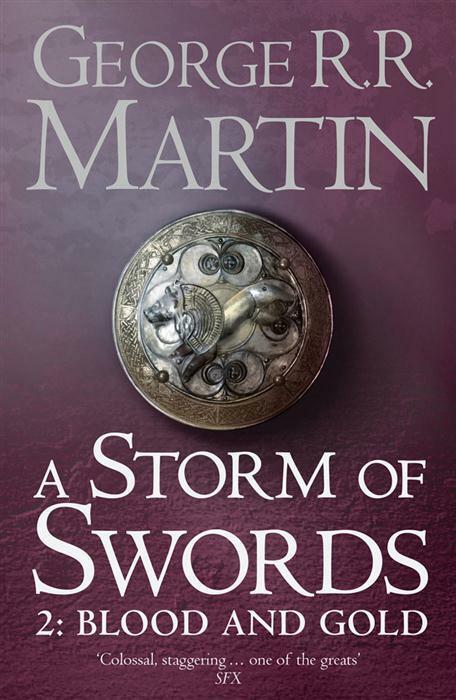 We follow on from the end of the first book with 5 different kings vying for the top spot, and fighting the civil war… Joffrey, Stannis Baratheon, Renly Baratheon, Robb Stark and Balon Greyjoy. 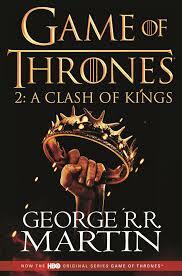 The land is divided, and despite Tyrion Lannister’s best efforts, the land is in disarray with the people divided. We see magic coming into the story much more, with dragons, walking dead people, murderous shadows and more. Across the sea, Daenerys Targaryen is still trying to find an army and passage back to the Seven Kingdoms to join the war, along with her newborn dragons. We see Jon Snow and the rest of the Nightwatch head north beyond the wall to find out more about what is happening there with the Wildlings. I love the structure of these books, with each chapter concentrating on one character at a time, jumping from different parts of the world to another, and telling the story from different viewpoints. My favourite characters are still Tyrion and Arya, Tyrion is becoming more and more likeable, and Arya is probably the one character I can get behind and root for the most. However, I am starting to like Daenerys more and more… and I love her story, turning from a shy little girl to a Queen. The story of Theon Greyjoy has been fantastic, I wanted to be on his side, I wanted him to do the right thing, and watching him fail, become prideful and jealous of his sister, and lose Winterfell and the respect of all the people there was a brilliant part of the story. When I first started the first book, I was worried I would not be able to keep up with all the characters, and that their stories wouldn’t be told properly, and that we would miss out on character development. However, I am enjoying these books, with all the different characters and find them all very interesting. Even the lesser characters, such as the Hound, have been developed in this book, and I have found myself jumping from one chapter to the next excitedly turning pages to find out what’s happening! 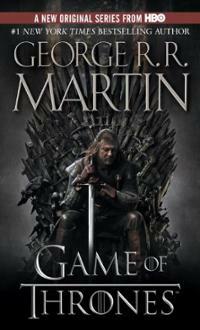 My only slight issue with this book – I just didn’t believe the Bran and Rickon storyline and knew they weren’t dead. I think because the whole story of Bran’s third eye had been built up, it seemed weird to then kill them off, and I just couldn’t get behind this storyline. But it didn’t last long as we quickly learn the truth, and it was a tiny minor blip in an otherwise amazing story. So I have kept putting it off, until the end of January when I decided to bite the bullet and go for it. 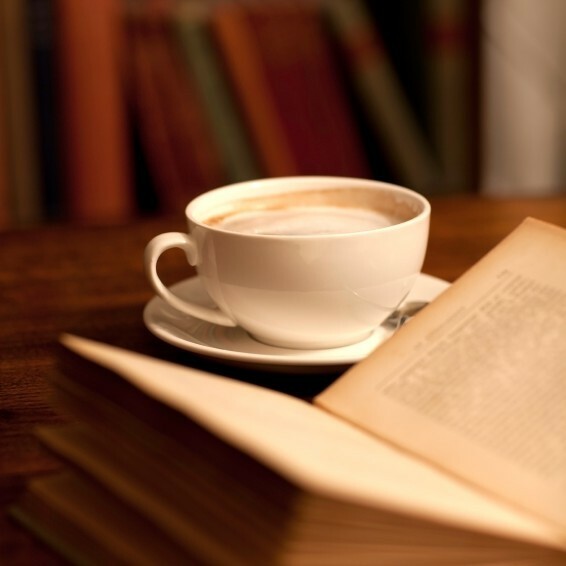 I can’t start a book and not finish it – even if I am really not enjoying it, as I am a completist and I like to give things a proper go before I give up on them. But I really needn’t have worried. This book was great! I love castles, knights, horses, swords, bodices, kings and queens, and magic. So this book was right up my street. 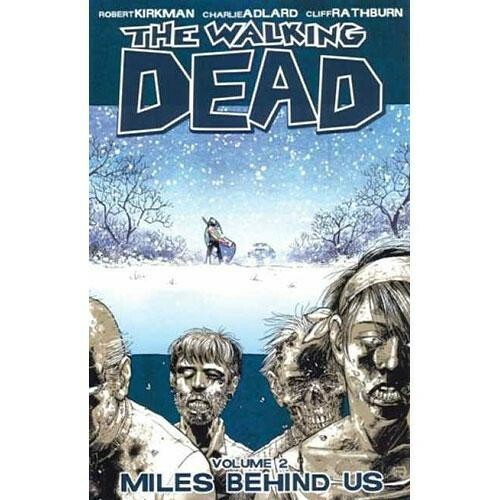 I didn’t find the large number of characters a problem at all, I liked this, and although I had to use the appendix at the back for the first quarter of the book, just to check how someone was related to someone else, I quickly got to know the characters well enough. I loved all the political strategy and tactics, the back stabbing, the honourable and dishonourable behaviour and found the actual story pretty gripping on it’s own. Add to that the characters – most of whom were well written and developed throughout the book, and I was hooked. On top of that was the hint towards magic, and then the ending, which… well, I won’t ruin it. I lived the Lannisters – they are so ambitious and cruel, and add a nice element of the ‘bad guy’ to the book. There’s not much to like about them, especially Cersei and Joffrey, Joffrey in particular… But there was Tyrion, who I couldn’t help but like – a dwarf son of the Lannisters, who is treated as a misfit because of his size, but is sharp and witty. I liked Robert a lot, but found him infuriating, burying his head in the sand, and drinking and sleeping his way round the court, leaving bastards here, there and everywhere rather than paying attention to the problems. Ned and the other Starks were likeable characters, and the mystery behind Jon Snow and his parentage is a nice little storyline that I am still thinking about and hope gets resolved in the next book. Arya in particular was one of my favourite characters, a young girl who hates the court and being a lady, and would rather be out sword fighting with her brothers than trying on dresses and spending time with her sister. 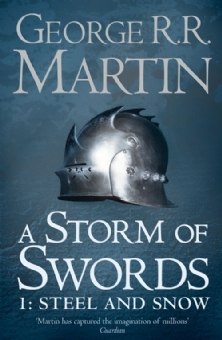 As much as I enjoyed reading about the struggle for the throne beginning in the north and south, I also really enjoyed the story of Dany and her brother Viserys – the two remaining Targaryens, from the old family who used to reign before they were slain and the throne went to Robert Baratheon. As all their family were killed, including the babies and children, Viserys has become very bitter and is planning and plotting in the lands south beyond the sea to come and take back his throne, using his sister as a bargaining tool with the Dothraki people. There are hints towards magic becoming a more prevalent part of the books, the wall of ice in the north and the strange people who live beyond it, the dragon eggs in the south… (although this part of the book was a bit weird…) and I’m hoping this will come into play more in the series.